As I promised, I’m going to start with my favourite co-operative game- Mass Effect 3. However, I should probably clarify one thing first though; I haven’t played the single-player campaign yet. That’s mostly because the games are so good that I know finishing the story will kind of be the end of an era- the gaming equivalent of finishing the last Harry Potter book. My love for this series is therefore based on just how awesome I’ve found the multiplayer to be- and also on completing the first game, which I bought after playing the third. Below is my explanation of just why I find this game so appealing. 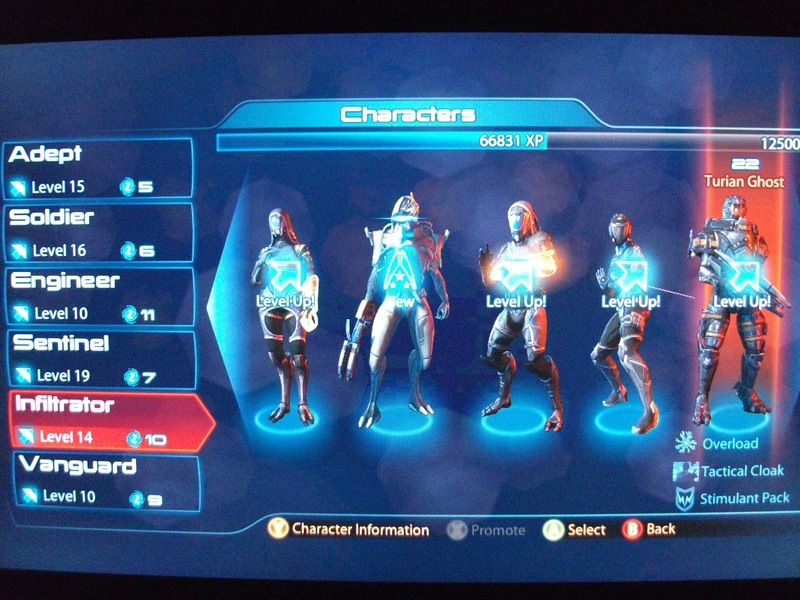 In multiplayer, there are 64 available characters (originally 25, with new ones added throughout the year after release) – split across 12 alien races and various humans, in 6 attack classes. Each race has different health and shield levels, and different weapon preferences. Each character has three abilities, which can be for attack, self-defence, or team support.